Shooglenifty’s eighth studio album is special in more ways than one. 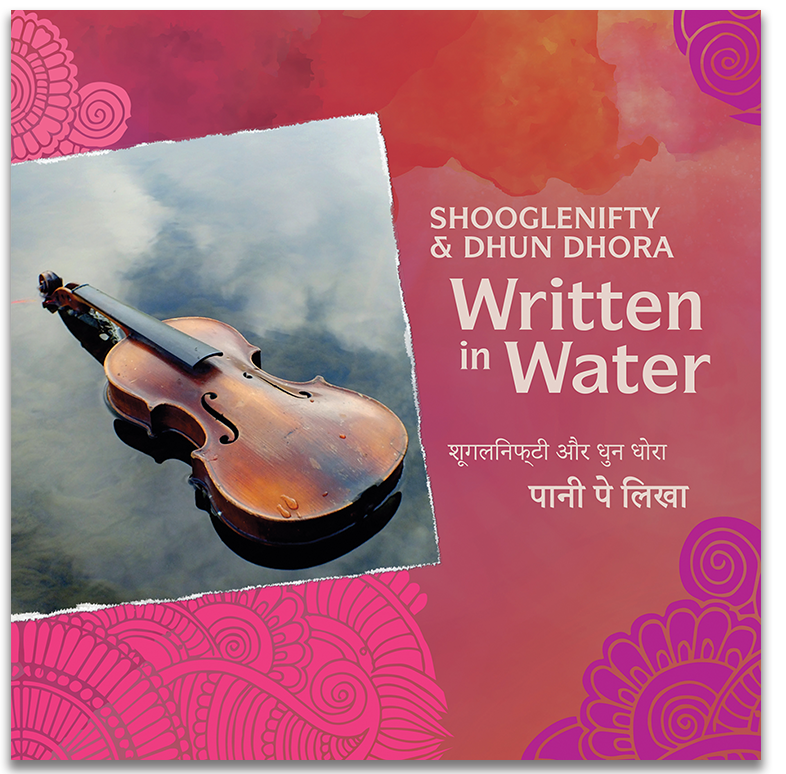 Recorded with Rajasthani collaborators Dhun Dhora in the Mehrangarh Fort in October 2017, it is a labour of love dedicated to the Shoogle’s late fiddler Angus R Grant and Dhun Dhora’s late dholak player Roshan Khan. Angus features on the opening track, Bovaglie’s Plaid, a haunting slow air answered by Dayam Khan, Dhun Dhora’s mesmirising vocalist, and Roshan pops up singing on Jog Yer Bones. Also featured is fiddle player Laura Jane Wilkie who contributed one of the tunes – Jump Yer Bones– an able counterpoint to Dhun Dhora’s popular Rajasthani song Avalu on the aforementioned Jog Yer Bones. Other new compositions on the album include Dead End Glen, Nigel Escapes The Fort and the title track Written in Water by Ewan MacPherson. Also included are trad tunes and songs from Rajasthan and Scotland, and Gypsy’s Dance by Donald Macleod. Each track is a balanced collaboration in itself demonstrating the extent of the musical kinship built up since the two bands first came together in 2014.